have you hosted a backyard barbecue that didn’t feel like a complete success? You may have dropped the potato salad, ruined your favorite tablecloth or shattered a dish. Many outdoor parties are coupled with disaster, but there are ways to beat the odds. The more prepared you are for the unexpected, the more you can prevent chaos from attending your barbecue. The eating portion of a backyard fiesta is often the most problematic. The best way to simplify things is to construct a buffet. Set a long table underneath an awning, and line up the contents in the order they will be used. Placing the hamburger buns several stations beyond the ketchup is asking for pandemonium. Set up another small table for items that guests will need to go back to during mealtime. Place your beverage station away from the food area to minimize commotion for socializing guests. Instead of placing ice in a closed cooler, fill an open tub and provide a large ladle for scooping. In order to prevent a mix-up with drinks, let guests label their glasses with small stick-on decals. You can also label the rare or well-done meat plates this way. To keep cocktail napkins from flying away, lay a corkscrew on the pile. 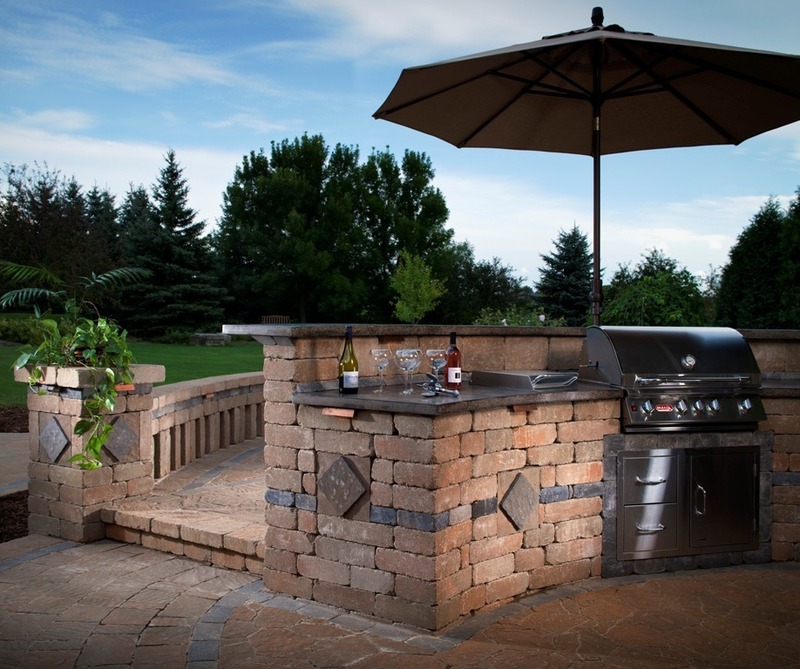 Solving a problem efficiently is the key to preventing calamities at your next backyard soiree. There is no need to make things more complicated than they already are. Before you set up for your next barbecue, make a list of the common mishaps that you typically experience during your parties. Regardless of what the issue is, take the quickest step toward fixing it. If a flyaway tablecloth is your biggest nemesis, you needn’t stock up on gaudy plastic clips that only work with certain table frames. You can use virtually any item to anchor those unruly cloth corners. Tape or pin a couple old keys to the underside of each corner, or suspend buckets filled with flowers from the ends using some string and a clothespin. You can also decorate the corners with ornamental paperweights. To keep bothersome bugs at bay, fill diffusers with insect-repelling agents such as geraniol or allethrin. Scatter them around your serving station as well as on any side tables. Instead of leaving open bowls of food on the table, fill multiple small lidded containers with your side dishes so each guest can grab one. This will prevent insect invasions and unnecessary messes. You can also purchase mesh tents to place over larger dishes. At any backyard party, there is nothing worse than an uncomfortable, whining guest. Complaints about the heat, sun, bugs, seating arrangements or the chill in the air can instantly take your gathering from delightful to dreadful. Plan ahead for those moments, and you will be seen as a shindig superstar. Factor in any nagging grievance you’ve ever had when you attended outdoor get-togethers. Keeping the partiers happy means making life easier on them. Consider the little nuisances, and transform them into amusements. Have children decorate trash cans and label them for recycling or discarding. Instead of hiding the cans where guests have to hunt them down, line them up conspicuously. In order to ensure every guest has a comfortable seat, purchase some extra folding chairs and whimsical outdoor cushions. With a little resourcefulness, you can wine and dine your friends, family and neighbors without any added stress. The idea is to stay one step ahead of the glitches. To avoid worrying all night about tiki torches and table candles, string white holiday LED lights around your patio, deck or porch. You can also prevent bonfire messes by using one or two small chimeneas instead. Entertaining children is one of the biggest problems during any outdoor festivity. Keep the grumblings to a minimum by setting up a kid zone. Fill plastic bins with water guns, Nerf balls, Frisbees, badminton equipment, sidewalk chalk and bubbles. Supply hula-hoops, jump ropes and pogo sticks as well. You can even build an obstacle course around the entire yard and encourage different types of races such as crab crawls or backward sprints. The best way to prepare yourself for barbecue mishaps is to recall your previous parties. What catastrophes occurred that made you take an oath to never host another barbecue again? Address your biggest complaints, and consider any criticisms you may have received from your guests as well. If you can fortify yourself with the proper party arsenal, you will never have to face a bash crash again.